In the last two weekends I've been fortunate to travel South and North to attend two small festivals. They offer different kinds of opportunities to big industry events, and the ripples of a visit can last much longer in some instances. At the end of August I attended Rome's Gender Docufilm Festival, situated in the 10th annual Gay Village, a beer and event garden which pops up each summer between June and September, with disco nights, film screenings and other cultural events on two stages. 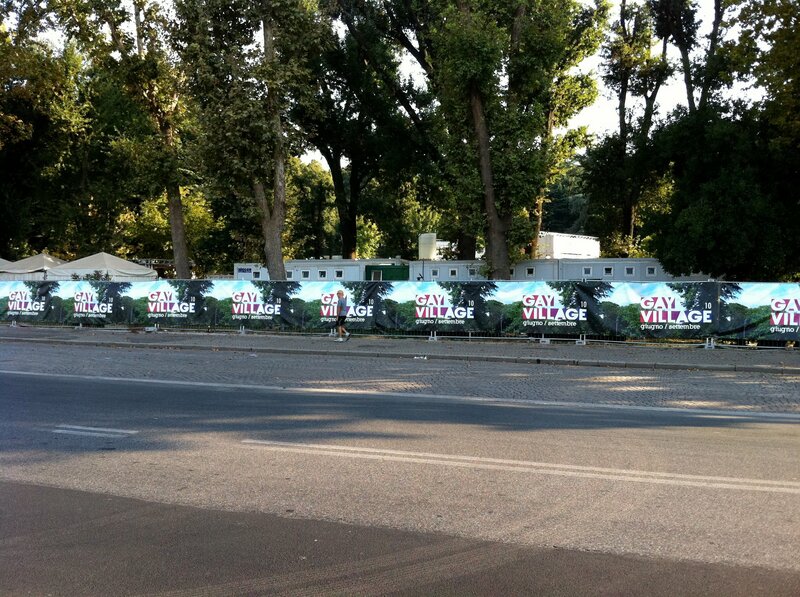 As president of the Di'Gay project Imma Battaglia said when she welcomed us with a buffet dinner: "We love putting Gay Village in the park to remind people of how important it is to look after the environment. It's about going beyond LGBT issues - if we don't care for the trees, we'll be nowhere politically!" For me the idea of celebrating open hearted diversity, a stone throw (or shall we say an apple's throw) from The Vatican is at once amusing and very progressive. I found a place full of history, looking to the future. Gender DocuFilm Fest's artistic director is Giona Nazarro, who also programmes for Locarno, Visions du Reel and other festivals. He carefully picked 7 films (30'-90'), his 4 jury members (of which I was one of them) and his visiting filmmaker guests and arranged open air screenings of all the films in the evenings. In the day time we had ample opportunities to explore Rome, mingle with fellow guests, or to lounge by the pool in the hotel (yes, on occasion with computer). Gay Village audiences were mixed, gay or straight and the atmosphere supportive - when one screening got delayed the audience was most forgiving and did not move from their seats, despite ample opportunity to succumb to a glass of alcohol. There is a party each day after midnight (Thurs - Sat) when even more crowds pack out the garden to dance the night away, or try their luck at Karaoke. The selected films included the Danish film Romeo and Julius, by Sabine Hvid, the award-winning Swedish film The Regretters by Marcus Lindeen, both very accomplished, deceptively accessible pieces which blow open our understanding of gender transitioning, and our performance of social and sexual roles. The jury (including filmmakers Robert Greene & Luca Guadagnino, & festival director Alberto Lastrucci) decided to give the award to Kathakali (The Table with the Dogs) by Cedric Martinelli & Julien Touati, a film in which we look east only to find the body is truly the last frontier (trailer here). Regretters picked up its first audience award in Rome to Lindeen's delight. This weekend I'm just back from a trip to Lerwick in Shetland where our slate of Bridging the Gap shorts on the theme of Shift were screening as part of the Shetland ScreenPlay film festival, now in it's 5th year and running alongside the 10th annual WordPlay festival, and co-curated by film critic Mark Kermode, who was launching his latest book The Good, The Bad and The Multiplex, with an amusing account of what's wrong with modern cinema. (The short answer is "Michael Bay"). 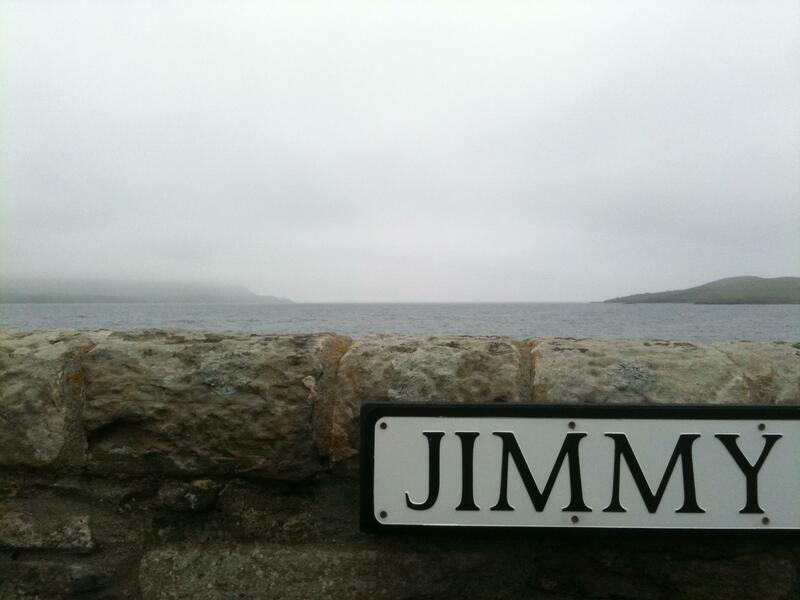 Martin Smith, director of Jimmy came out to Lerwick for a Q&A full of perceptive questions. It's always great to see the shorts shown as a showcase together, something we're trying to do more this year, so watch this space. Actor Jim Broadbent was also guest of honour and we watched his acclaimed Longford, in which he plays opposite Samantha Morton as Myra Hindley, in the C4 production directed by Tom "King's Speech" Hooper. Broadbent also showed his self-penned A Sense of History, a short satire directed by Mike Leigh, in which he plays an aristocratic landowner with some 'darker' secrets. In the evening we stroll around Lerwick's Broch (or ancient round house) and head back for a delicious buffet and natter over food with local filmmakers, and Martin strikes up a conversation with Shetland's youth filmmaking group, some of whom I met last year at our workshop. 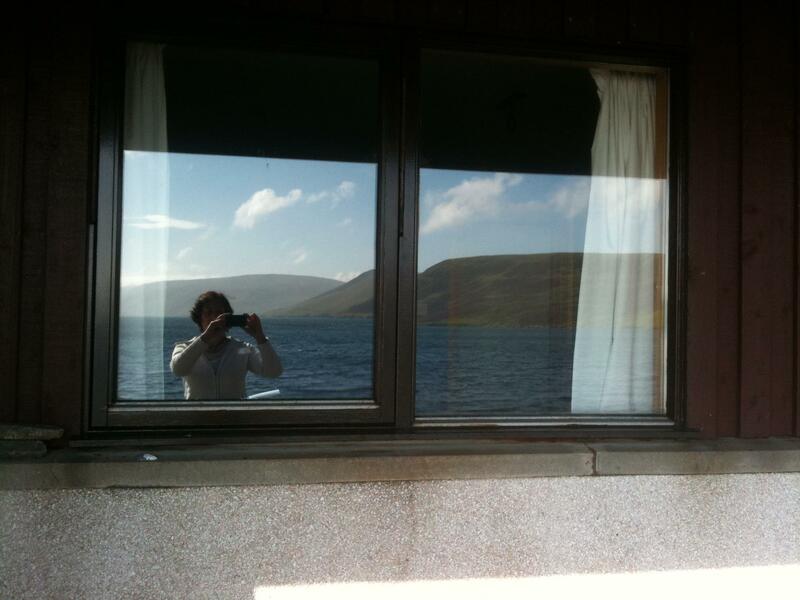 We were lucky to stay in a house in Trondra, thanks to Screen Hi, an island right by Scalloway (Shetland's ancient capital), with stunning views of the sea and the wind-ridden, rolling mountains either side. There wasn't much time to explore further this year, but I know we'll be back - especially when Mareel, the new cutting-edge cinema and arts venue opens sometime next year.